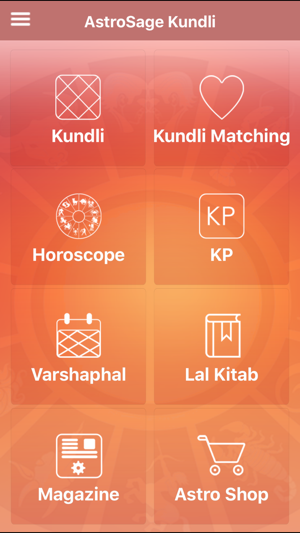 AstorSage Kundli is most powerful Birth Chart (Kundli, Kundali or Vedic Horoscope) software based on Indian Astrology / Vedic Astrology/ Hindu Astrology/ Jyotish for iOS. Moreover it is absolutely FREE. 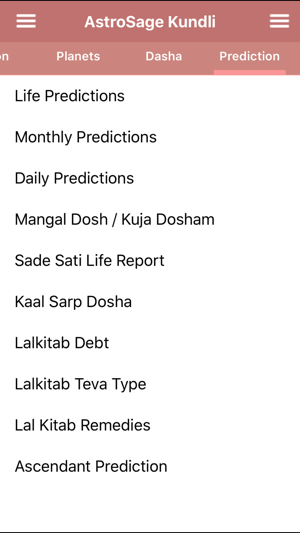 * Predictions/ Personalized Horoscope- Life Predictions, Monthly & Annual Predictions, Daily Predictions, Mangal Dosh / Kuja Dosham, Shani Sade Sati, Kaal Sarp Dosha, Lal Kitab Remedies, Debts, Planetary Predictions etc. 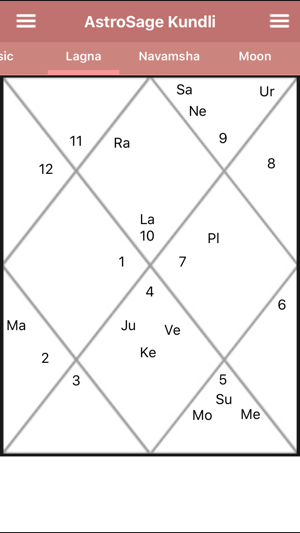 * KP System / Krishnamurti Paddhati with KP Chart, KP Planets, KP Cusps, Planet Signification and House Significators. 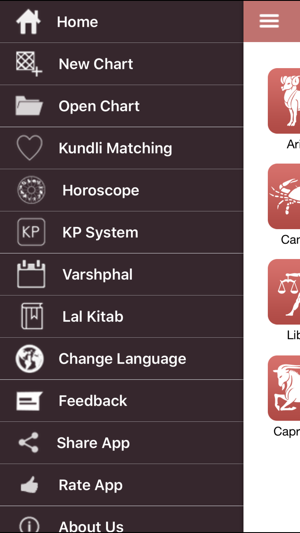 * Lal Kitab: Lal Kitab Kundli, Varsha Kundli, Prediction for planet in each house, Remedies, kundli type like dharmi teva, andha teva, ratandh teva etc. and Debts. 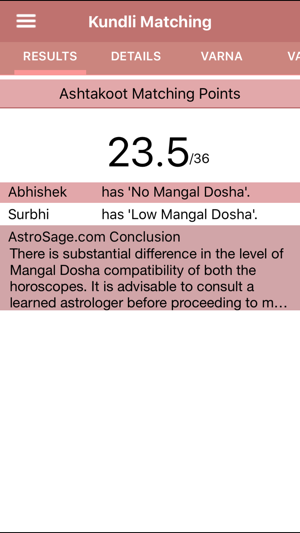 * Varshphal: Chart, Planets and Varshphal Prediction. * Choice of Lahiri (Chitrapaksha), Raman, KP, and Sayan ayanamsa. 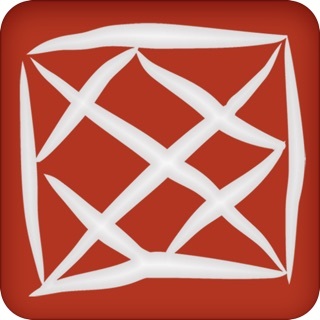 This kundli software is especially designed keeping mobility and instant calculations in mind. 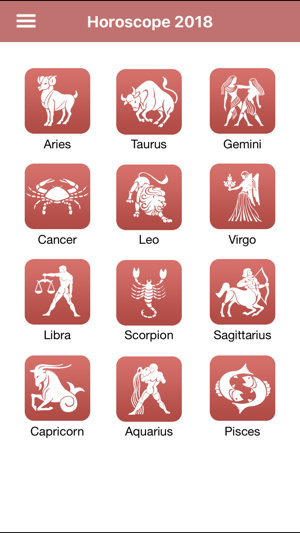 No app has so many Indian astrology, Vedic astrology and Hindu astrology features like AstroSage Kundli. Note: AstroSage Kundli App requires active Internet connection. I have been following this app for years.. 70% close prediction.. I generally keep my mouth shut when there is a hint about family problems or issues predicted on monthly predictions and most of the time it saves me in preventing major fights or escalating officially or personally.. 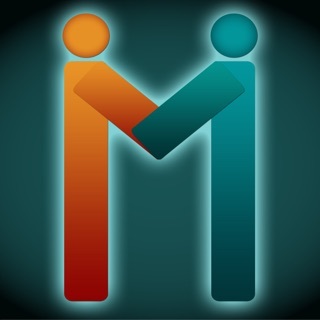 I definitely recommend this app.. I have been using astrosage from years now. It really helps in getting a glimpse of what upcoming days, weeks, months. And for me it has been accurate 60% of the time.